Workshop - How to get a better job ? Be part of a 6 hour small and intense workshop. Become more confident when marketing yourself ! Get up-to-date on what studios and companies desire in new recruits. Discover what is presently happening in the industry. Examine your present goals, strengths & weaknesses, as well as, explore different career paths. Learn what it takes to create an excellent CV, showreel and portfolio, as well as, methods for good self-promotion and marketing. You will get tips for preparing and presenting at an interview. The workshop will improve your confidence and equip you with a solid marketing plan to help you get your next job. Be part of a small and personalised intense workshop. As a group we will review and discuss each other's showreel, personal brand and marketing material. Get honest and direct feedback from industry expert and creative director Matthew Packwood. The workshop is designed for students to work together and learn from one another, as we review and discuss each other's current work. Matthew will show examples of best practice and help you develop a list of things you can do to improve your folio, showreel and marketing material. RSP is well known for its ability to develop highly skilled visual effects artists through its unique Education program. The Education arm of RSP was created in 2012, to bridge the gap between aspiring artist and experienced workforce ready artists. 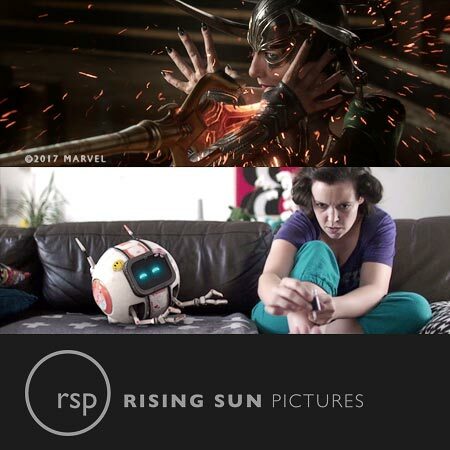 RSP Education provides budding artists with career pathways, knowledge, necessary skill-set and hands-on experience, which is all required to work in the VFX industry, both locally and globally. RSP Education provides a variety of both accredited and non-accredited training and learning opportunities. 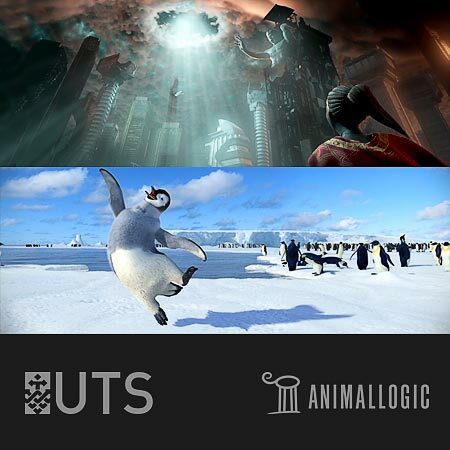 The UTS Animal Logic Academy is a unique collaboration that responds directly to the challenges of the animation and visualisation industries. Located on the UTS campus in the heart of Sydney’s creative precinct, the Master of Animation (MAV) and Visualisation is the first course offering through the Academy. The first of its kind in Australia, the MAV takes students on a learning journey that is fully immersive, and one that emulates a true studio experience. With collaboration and team work at its core, students are able to build upon their existing skills, to ensure they are work ready. The students come together with a range of different backgrounds including RnD and Production Management and are mentored by industry professionals from Animal Logic, UTS and other industry partners in a custom-built studio using real-world production pipelines. Jumbla Academy offers a suite of animation and motion graphics courses to help budding creatives gain industry-relevant experience in our South Melbourne studio. Students are mentored by current and former Jumbla practitioners in an immersive learning environment, sharing their workspace with our studio’s 40+ illustrators, motion designers, animators and producers. From the basics of motion design to Cinema 4D, the Adobe suite and Maya, Jumbla Academy’s 10 and 20-week courses focus on 'real-world' briefs (and deadlines) to help reduce the learning curve of stepping into full-time employment. Two internships are open to academy and university graduates each semester. helloluxx is a collection of creative professionals from around the globe, dedicated to sharing experience and knowledge for the visual effects and motion graphics community. What started as small blog – sharing tips from the creative company Luxx – continues to evolve into a collective of experts and developers working together to provide you with real world techniques and solutions to improve your workflow and enhance creative productivity. Take your skills to the next level. For professionals. By professionals. 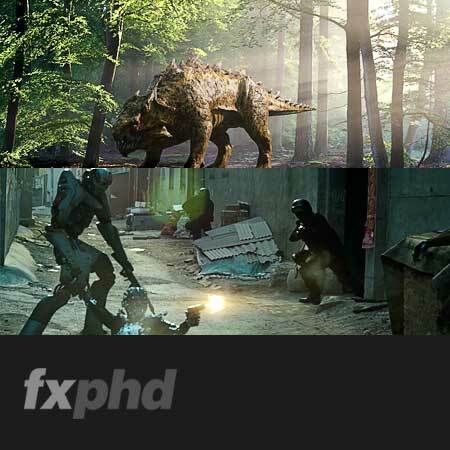 fxphd is a subscription-based online vfx, post-production, and motion graphics training program led by professionals. We offer both application and craft-based courses, online discussion forums, and vpn software. Once you join, you have full access to our library of over 200 courses. That's over 1300 hours of instructional movies. New courses are launched each and every month. Creative director and industry expert Matthew Packwood will mentor and teach you the discipline of marketing. He will guide and direct you to create your own personal branding and marketing material. The course is designed for students to work together and teach each other through trial and error, with weekly discussions and presentations of their current work. This course has been developed through extensive research, in consultation with some of the top studios and creative professionals in the industry. Matthew has been improving, refining and delivering this course over the past two years for students in the areas of Animation, Gaming, Illustration, Motion design and Visual effects. The editor and creative director of Masters of Motion Matthew Packwood offers a mentoring program for students, recent graduates, juniors and aspiring studio owners. Matthew also organises mentoring sessions with other industry experts. The sessions are aimed to assess your goals, create a plan and implement it. Potential participants are interviewed and have their folio/showreel assessed. We run a limited number of mentoring sessions throughout the year. Sessions run for two hours on a fortnightly basis for 6 to 12 weeks, both in person and online. This opportunity is highly valued by participants and is competitively sought-after.